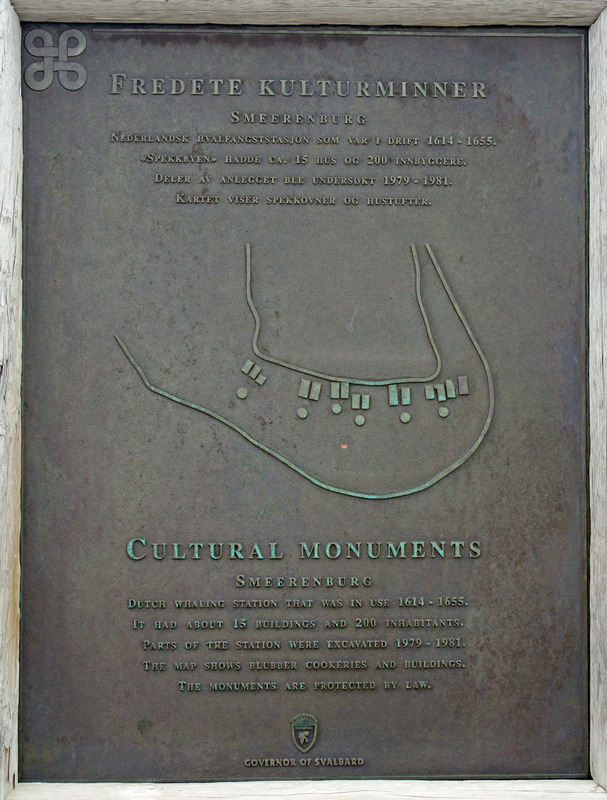 A plaque at the site of Smeerenburg, the English text reads: CULTURAL MONUMENTS - SMEERENBURG Dutch whaling station that was in use 1614 - 1655. It had about 15 buildings and 200 inhabitants. Parts of the station were excavated 1979 - 1981. The map shows blubber cookeries and buildings. The monuments are protected by law. Governor of Svalbard.